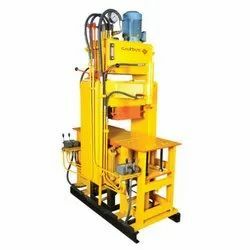 Providing you the best range of fly ash bricks making machine, paving block making machine and manual concrete block making machine with effective & timely delivery. 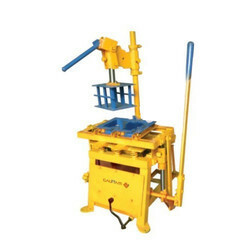 We are the leading manufacturers and suppliers of the Fly Ash Bricks Making Machine. Facility- inbuilt heater in punch which facilitates to avoid cleaning of punch and manually.SIngle Feeder facilitates for production of Fly Ash Bricks. In-built heater in punch which facilitates to avoid cleaning of Punch & Materials manually.